Ardara “Cup of Tae” Festival – May Bank Holiday weekend 3rd to 6th May, 2019. This festival, often called “The Biggest Wee Festival in Ireland”, is famous for its spontaneous music sessions. The huge influx of Irish and International musicians who just arrive for the Festival love the free spirit. This year the Committee honours one of the best, as they duly honour Brid Harper, one of the most outstanding fiddle players in Ireland. She will be honoured at a special Concert on Friday 3rd May in the Nesbitt Arms Hotel at 8.30pm. 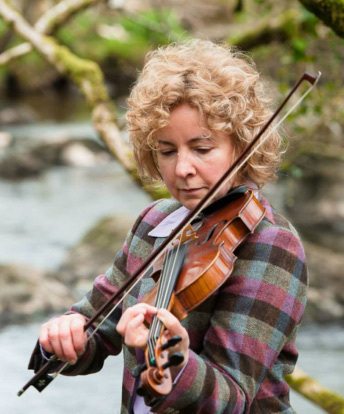 All friends and people who appreciate this lady and the wonderful talent will be treated to the best of traditional music from Brid and company. Saturday and Sunday see the ever popular Schools of Music take place, lead on the Master Class will be Brid Harper with Theresa Kavanagh. Join the many Musical Recitals, all free for all visitors. The famous “Cup of Tae” Festival 3rd to 6th May, 2019. This entry was posted in Uncategorised on 12th February 2019 by editor. The biggest “Cup of Tae” Festival of all time is expected this weekend in Ardara! 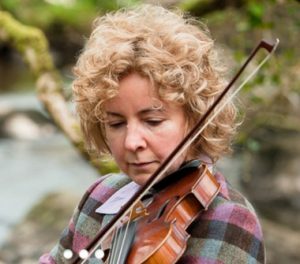 World renowned traditional musician Mairéad Ní­ Mhaonaigh will be the special guest of honour at the opening concert in the Nesbitt Arms Hotel on Friday night at 8pm. Mairead will be joined on stage by the band Altan, her family and friends. This is a special event, probably never experienced in Ardara or anywhere before. Tickets are €15 and a limited amount may be available at the door but demand has been huge for this special event. This entry was posted in Uncategorised on 10th January 2018 by editor.